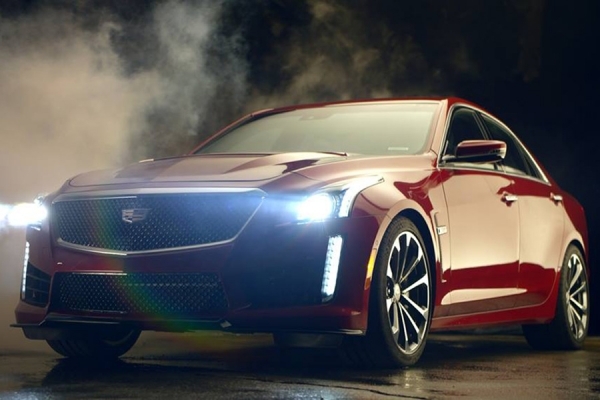 Are you still super excited about the 2016 Cadillac CTS-V? Of course you are. It’s all ridiculous and ferocious and fancy and wonderful, after all. It’ll please you, he or she who so loves the 2016 CTS-V and aspires to one day put the pedal to the metal in one of your very own, to learn that Cadillac dealers around the US will begin taking orders. Now. They’re taking orders now. So, if you want one, now would be the time to order one. The CTS-V is an absolute monster, with a top speed of 200 mph and a 3.7-second 0-to-60. This 640-horsepower will cost a pretty penny—starting at $83,995—but it’ll be totally worth it if you love fun. Which you probably do, unless you are a jerk.